Update 6/26/08: Yet a second comment, this one from someone who knows Mr. Coune and asked him if he made this car. Mr. Coune says this is not his work. I am not surprised because I don’t think the work on this car is up to the standard that can be seen on his MGB based coupe or Volvo Amazon convertibles. Does anyone have any information on this car? Please leave a comment or email me at sprints@giuliettas.com so the mystery can be solved. Update 6/23/08: Received a comment from someone familiar with Coune who says this car is not his work. Whether the Coune connection was a pure fabrication on the part of the seller or a reiteration of a claim by someone else is somewhat immaterial in my opinion. Regardless of who made it and under what circumstances it is more odd than beautiful and will have difficulty finding a new home at a restored Giulia Spider price. If anyone knows more about this car please comment or send me an email at sprints@giuliettas.com. Not a bad looking car combining a late-60’s Italian budget coupe sort of Kamm tail rear with the always pleasing Giulietta Spider. I’m not really a convertible guy, having suffered sunburned nose after sunburned nose over the two years when an Austin Healey Frog/Bug-eye Sprite was my daily hack, but have often thought about how nice it would be to have a coupe version of some of the attractive convertibles I’ve tried to convince myself I could live with. 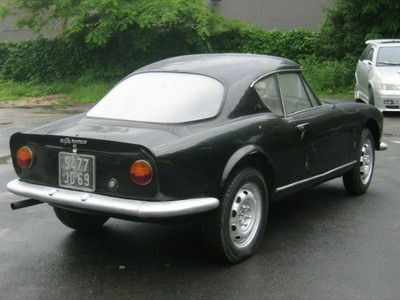 Harrington did it successfully (from a styling standpoint) for some of the British main-stays like the TR4 and Alpine so I guess it’s no surprise someone made a coupe out of a Pininfarina Giulietta Spider, despite the existence of the Bertone Sprint coupe. I guess this is the point where I admit to having fantasized about welding a GTV roof on a Duetto, good thing either of those cars is too expensive to consider doing something like that to. Pretty much looks like your standard 101 1600 Spider wearing an after-market hard top from this angle. Might be an earlier 1300 Spider with the 1600 ‘scoop’ hood. The ride height issue in the rear is not really helping this design, I think it would look better with a more aggressive, lower stance. 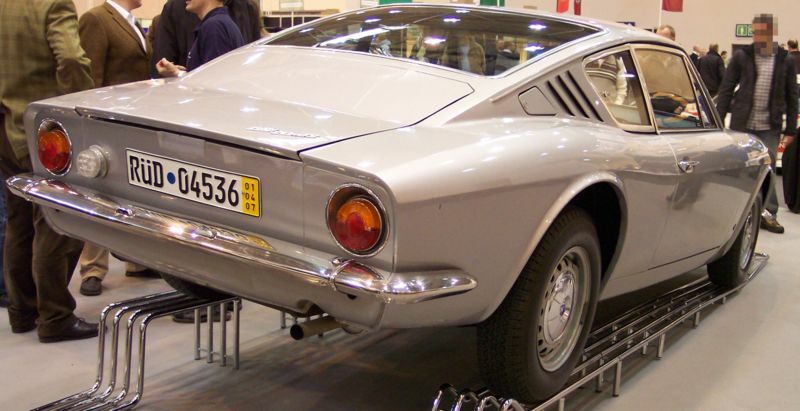 Tail flip is fairly pronounced in a Ferrari 275 sort of way, rear glass appears to be a Giulietta Sprint piece. I am pretty sure this is the stock bumper. Tail lights are common to several cars. 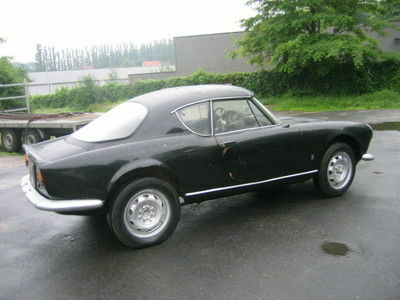 Rear corner windows look sort of Triumph Spitfire to me. Black suits this car well. There might even be a little of the Opel GT back there. I would guess it was modified in the late 60’s when this style of tail was seen on a lot of cars like the OSI 20M coupe pictured below. Note the rear corner window and general layout similarities between the two cars. Osi is obviously more angular, but an angular top on the Spider would clash with the round 50’s styling. I did a quick search on Coachbuilder Jacques Coune and found a short website with a few examples of his work, unfortunately nothing is mentioned about any customized Alfas. There is a neat MGB special he built that is restored and makes appearances around Europe and two Volve Amazon convertibles. 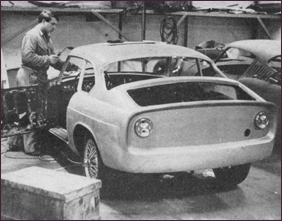 The workshop of Coune with a (or perhaps the) MGB special being built. What tool is the worker holding? I’m not sure what to say about the value of this car. It is certainly rare if it was indeed built by Coune and has value based on this rarity, but in my opinion it’s too quirky to be desired for its beauty. I think the right buyer, with the right budget and a willingness to modify it just enough to make it beautiful could turn this into a very desirable car. The seller just has to find that person. 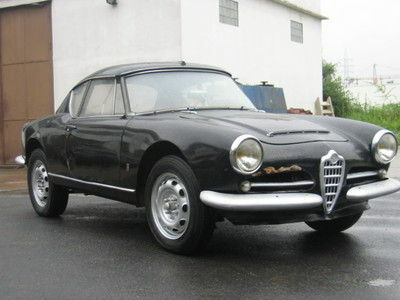 This entry was posted in 101's, Giulietta & Giulia Market, Project cars, Spider Normale's and tagged cars, Classic cars, Italian cars, Vintage cars by Hamilton. Bookmark the permalink. That actually looks wicked as a hard top, gonna bring it stateside soon? We could go halfs on it–you take it in winter when the polar bears are roaming the streets! Great write-up btw, you really know these cars! I have to dissapoint you somehow since the car was not manufactured by Jacques Coune. 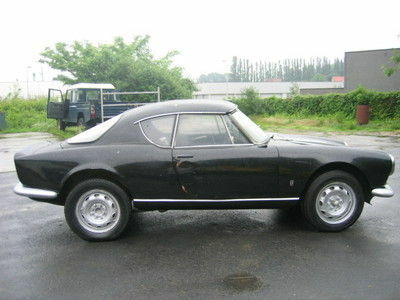 Jacques Coune Carossier has worked on Mercedes, Peugeot, Volvo, MGB,… but not on this Alfa Romeo. 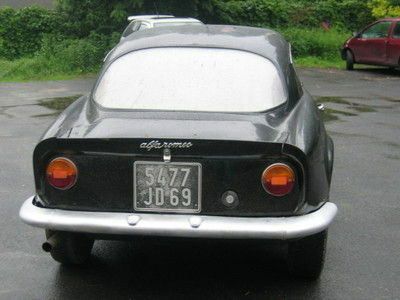 It does show similarities with the MGB Berlinette since the rear-end is GTO type, but this Alfa was not done by Mr. Coune. Jacques Coune is 84 now. 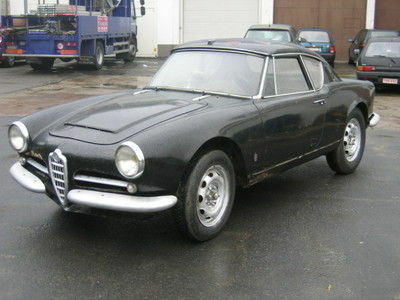 Alfa Romeo like shown on your pictures. You should enquire some information of another source than this.